The below recipe is a stir fry and being an okra fan it is prepared regularly at my place. Inspired from Sanjeev Kapoor, I have tried them with pearl onions as well as regular onions and love both versions. The below recipe with simplest ingredients makes it a great side dish for rotis. 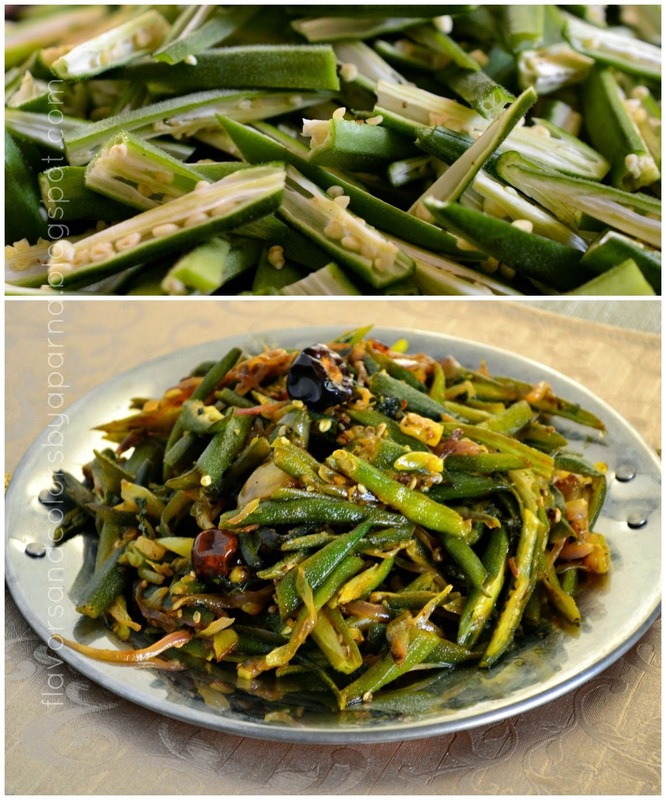 You may use the same recipe and substitute french beans or ivy gourds even that tastes yum. 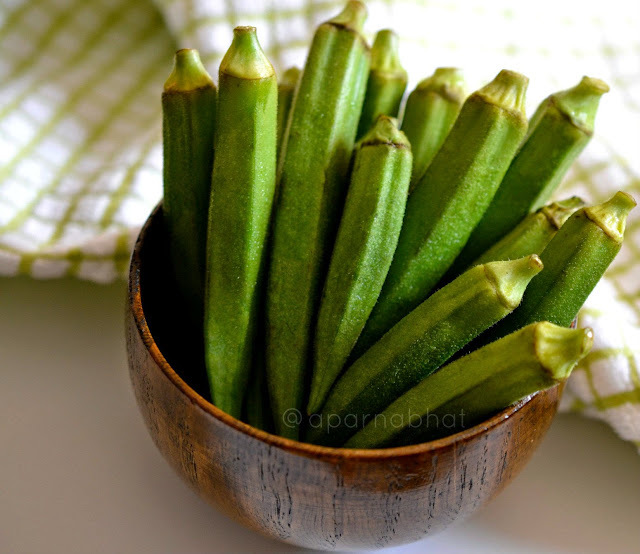 I prepared okra by washing clean and patting them dry before beginning with the preparation for this stir fry. Once air dried, trim the ends and cut them in slanting direction into 4 parts. This will reduce the sliminess in the dish. In a non stick pan, heat 1 tsp oil. Add slant cut bhindis and shallow fry them for 2 mins. Remove them from the pan and place them aside in a plate. In the same pan heat remaining oil, add cumin seeds and as they crackle add red chillies. Stir fry, next add slant sliced onions and chopped garlic. Saute them till they turn light brown. Next add the shallow fried bhindis, turmeric powder, crushed black pepper or pepper powder. Mix it nicely, add finely chopped mint leaves and cook it uncovered until done. Add amchur powder, salt to taste and toss everything well. Switch off the flame. Garnish with fresh mint leaves [optional]. Enjoy it hot with rotis or naans. 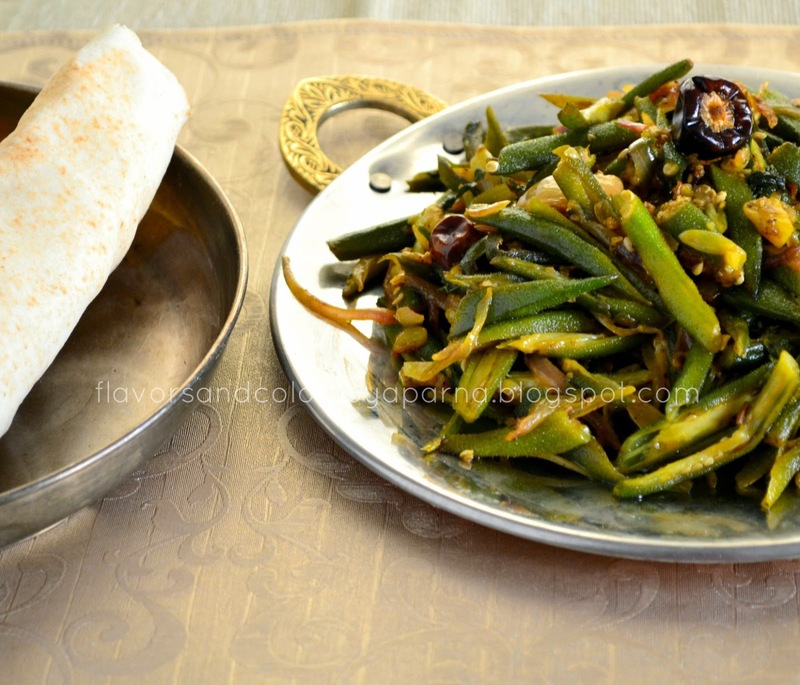 nice flavorful bhindi fry. Love it. Will try it and let you know.